I guess when you’re all alone in the universe, and you find that little slice of home, you want to hold onto that slice for as long as you can. Oh, it feels so good to get this out of the way. Obviously we’ve got more coming from the events in this storyline, but it’ll be nice to have a change of pace, and some silliness, going forward. 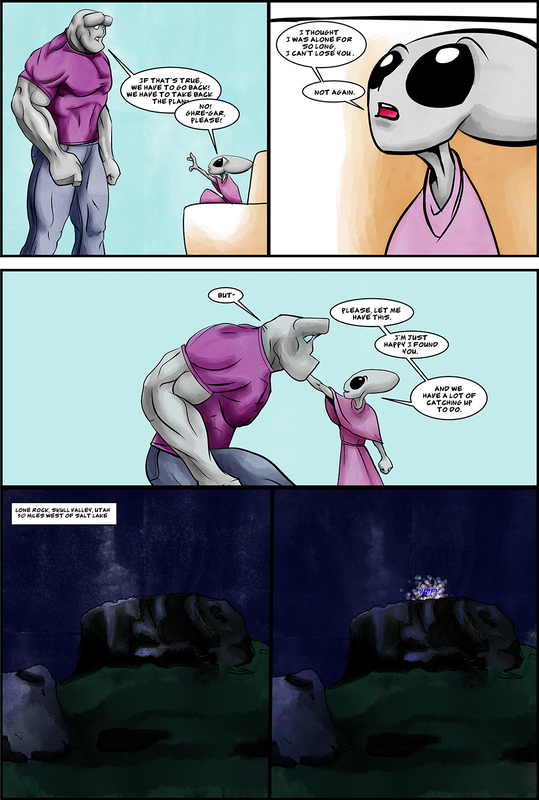 Also, maybe it’s just my monitor, but the colors in the bottom two panels turned out a lot darker than I intended. Oh, well. Visible from the road to Dugway proving grounds, been there, done that.